My specific area of research was the Mazinaw-Lanark Forest Management Unit, which is a parcel of approximately 306,000 hectares of Crown land. The district is populated by several townships, consisting of a number of small villages and hamlets. The average household income in several of these communities is below both provincial and national averages, and natural resource extraction, particularly forestry, is a key employment sector in the area (Statistics Canada, 2006). The natural landscape consists of hundreds of lakes, rivers and wetlands, carved into heavily glaciated pre-Cambrian rock, with fissures and striations following a general east-west direction. The forests consist of both deciduous and coniferous trees, with the presence and density of particular species varying considerably across the area. The data collection process involved gathering archival material from two local history museums, documenting direct and participant observations, conducting an in-depth focus group with twelve local women and oral history interviews with eleven, small-scale forest company owners, as well as key informant interviews with community service providers, long-term residents, municipal staff and provincial park staff. Secondary sources included local history literature and online information collected from various databases, including the Ministry of Natural Resources of Ontario, local county websites and Statistics Canada. Hence, the emphasis of this research is on working-class forest community members, which is important, as different social classes engage with Ontario’s forests and wilderness in diverse, class-based ways. My particular interests were to investigate what are often unexplored topics in the environmental scholarship – the role of nature, as well as the importance of gender and nature constructions, in human-environment relations. 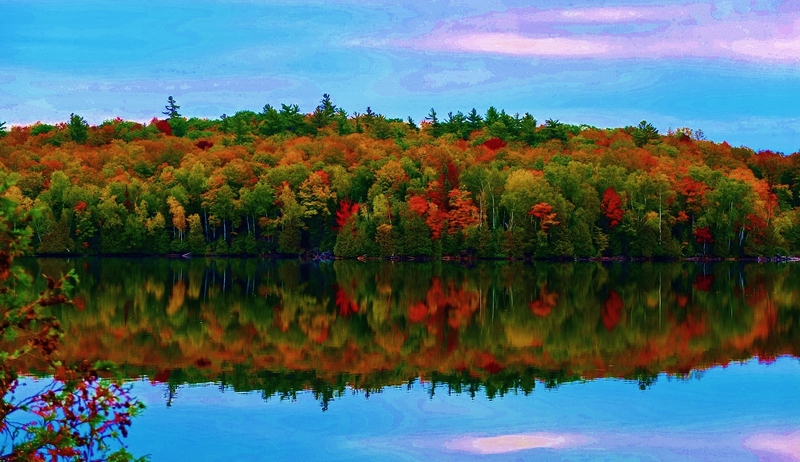 Kashawakamak Lake, North Frontenac Township. Photo. Dawn Dietrich, 2012. While it is true that environmental historians consider the role of nature in their work, they are sometimes criticised for not writing about nature as both discursively and materially constituted (Cronon, 1990; 2006; Demeritt, 1994; 2005; Mosley, 2006; Sorlin and Warde, 2007). Historical geographers, on the other hand, are often derided for ignoring nature as an autonomous actor (probably hold-ups from the racist, environmentally deterministic reasoning perpetuated by Huntington and Semple) and instead view it merely as a social construct (Castree, 2005). My ongoing doctoral project works to rectify these criticisms by engaging with critical theories and approaches (e.g. poststructuralist, posthumanist and feminist environmentalist) which consider nature to be active, both in terms of its own biological constitution, but also relationally when bound up in constructions of social, ecological, economic, cultural, political and material formations (Whatmore, 2002; 2006). In such a way I hope to present a reading of nature which recognises both its material and discursive constitution, and in doing so, recast the ‘production of nature’ as a ‘coproduction of socionature’ in which humans and nonhumans participate, albeit unevenly (Bakker and Bridge, 2006; Castree, 2005). 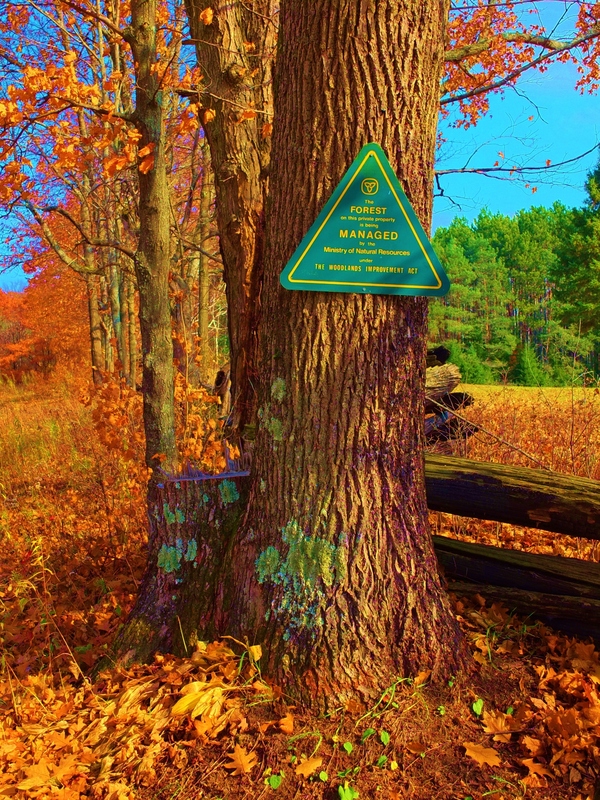 Managed Forests, North Frontenac Township. Photo. Dawn Dietrich, 2012. Through a discourse analysis of forest management plans and forestry worker interviews, I found that with the introduction of this act came some of Ontario’s most ecologically-sensitive, but at the same time operationally-restrictive, forest management policies and practices. Unfortunately, this also occurred at a time of intensive market down-turn, unprecedented off-shore pressures and record-level operational costs. Together these challenges proved too difficult for a number of small-scale, forestry businesses in the area, resulting the in the closure of multi-generational, patrilineal companies – many of which have dominated licenses to harvest on Crown land for over one hundred years. Hence, forestry work, a once viable employment opportunity, is no longer an option for many young, rural men. Further analysis of rural masculinities also demonstrates that over sixty years of intensive mechanization and professionalization have resulted in the once predominant ‘logger’ culture giving way to a more technologically savvy, managerial culture. Businesses that are still operational are now dominated by men with forestry degrees and large-equipment operation experience. As such, the stereotypical model of rural masculinity – brawny, tough men – has been replaced with a more professional and technical forester. Thus, the impacts of forestry sector shifts can also be seen as fundamental challenges to the established hegemonic, masculine order, and thus male, working-class identities (Brandth and Haugen, 2000). These shifts in the forest sector have also had monumental impacts on forest-based communities. For instance, women’s volunteer work has always been important in maintaining community well-being. However, with the loss of so many jobs and people in the area, the burden on women has increased dramatically. Women’s organisations have gone from promoting forestry clubs for boys and homemaking for girls in the 1960s, to now fighting for community and family survival. Women are being forced to take on additional volunteer work in efforts to maintain essential services such as ambulance services, schools, and libraries. Demands on food banks are also at an all time high, placing even further stresses on women to operate these necessary organisations. Additionally, shelters and women’s outreach workers cite the decline in male-dominated industries, poverty and the stigma around not having work as being significant factors in the increase of drug and spousal abuse in the area. While services are available for men and women, local shelters are often full, and outreach workers’ caseloads are maxed, so many people may not be able to get the help they need. Women also argue that is difficult to leave an abusive relationship, not only because of the stigma attached to having extensive family histories in the area, but also because shelters are hours away for most and many women do not want to leave their close network of family and friends. Hence, a gender analysis of archival and interview material demonstrates that forestry sector shifts place differential burdens on women responsible for the well-being of the community and family. During times of economic decline, such as the conditions being faced today, women are found to suffer from increased levels of abuse, are exhausted by further demands for community support and are left as primary caregivers as men seek out new work elsewhere. These challenges also highlight the importance of the rural as a space integral to the construction, performance and negotiation of gendered human-environment relations (Little, 2002). 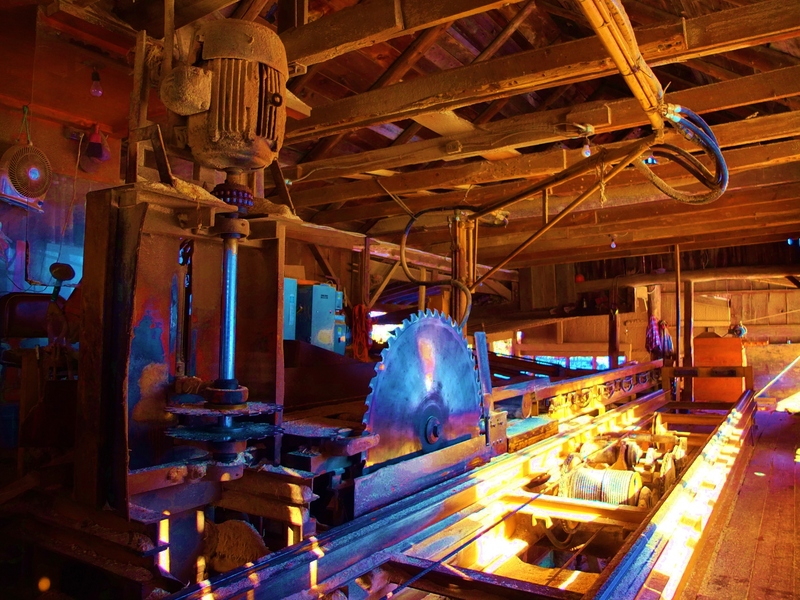 Sawmill, Lanark Highlands Township. Photo. Dawn Dietrich, 2013. New forest policies also reflect shifts in power, giving new actors greater control over constructions of the forest landscape. Forestry workers argue that elite, urban, ‘conserve it all’ mentalities now dominate forest policy, constructing the forests as a space where harvesting does not belong. Through a discourse analysis of forest management plans, archival material, forestry sector interviews and secondary historical literature, present day attitudes are juxtaposed to past constructions of the forests by government and industry. For instance, the ‘log it all’ mentalities found in Ontario’s first forestry act of 1849 show that, at this time, and at the exclusion of all other needs and values, the Ontario government constructed the forests as an economically valuable resource, rather than as inherently good, which resulted in the complete destruction of the forested landscape (Ontario Department of Lands and Forests, 1957). In less than fifty years, lumber and timber barons decimated the primeval, eastern white pine (Pinus strobes L.) forests that had initially attracted them to the area. Following this era of exploitation, ‘sustained yield’ attitudes began to dominate government policy and industry practices. During this period, the forests were constructed as a ‘manageable resource’ in efforts to legitimise a system of long-term sustained yield and wealth accumulation. Indeed, by the end of WWII, government and forest industry constructions of nature reflected an over-reliance on scientific-based management (Lambert and Pross, 1967). Quantifiably-derived yield predictions and reforestation attempts reflected an attitude of male superiority to nature – men knew best how to intensively harvest, while still ensuring forests for the future. For example, resource management plans dating back to the 1920s demonstrate enhanced efforts to control forest fires in the area, with the first fire rangers hired by industry being established in 1910 and watch towers erected in order to spot, monitor, reduce and record the various causes of fire, as well as the percentage of area burned. Also during this period the first attempts to regenerate the forested landscape are attempted in the region, as an ever increasing number of surveys were conducted and trees planted in efforts to renew a degraded and deforested landscape (Ontario Ministry of Natural Resources, 1965). Yet, even with the introduction of reforestation, forest surveys and a massive reduction in the area ‘lost’ to fire, forest cover continued to depreciate during and following this period (Baskerville, 1986) as the forests’ natural processes of regeneration challenged management efforts by failing to adhere to replantation and sustained yield prescriptions, demonstrating the power of trees as important actors in this relational history. Stoll Lake Logging, Addington Highlands Township. Photo. Dawn Dietrich, 2010. By mid-century, a critical turning point was reached. A growing number of people seemed to consider the forests as an important facet of existence – not simply a space where trees are cut or a few elites vacation. While outsiders rallied to protect remaining tracts of old-growth forests and challenge the government to establish the province’s first parks, local forest company owners demanded policy that supported their work and, thus, ability to live in the forests (Killan, 1994). Hence, in this period, the forests came to define place: for more and more outsiders, the forests represented an ecological paradise, an escape away from the monotony of the city, while local people identify the forests as home – ‘we are the bush people’ as a number of interviewees explained. Today, more than ever, forested landscapes, especially those with endangered trees, are the focus of many forms of tree conservation efforts and sustainable forest policy. A critical analysis of forest management shifts in Ontario demonstrates that both humans and nonhumans are key actors in the construction of this history. While such action is relational and participation is uneven, recognising the role of trees and other components of nature is absolutely necessary in an uncertain environmental future (Jones and Cloke, 2002). It is also through this work that understanding gender becomes vital, because it is through this concept other important issues, such as power, difference, diversity as well as how identities are defined and constructed come to be understood (Bock, 2006). By engaging in such work, environmental historians can conceive of human-nonhuman relations in ways that are non-hierarchical, while also being critical of nature’s social constitution and gendered relations of power. Such a ‘hybrid history’ offers a fruitful trajectory for future investigations of social-nature relations (Mosley, 2006). Dawn Dietrich is a PhD Candidate in Geography at the University of Guelph. For examples of environmental (albeit, not necessarily all historical) scholarship that takes gender seriously see: Agarwal, 1992; Davis, 2000; Jackson, 1993; Leach and Green, 1997; MacDonald et al., 2008; Merchant, 1989; 1990; Nightingale, 2006; Rocheleau and Edmunds, 1997; Rose, 1993; 1997; Sachs, 2006; Schroeder, 1993; Seager, 2003; Shiva, 1989; Reed, 2003; Reed and Christie, 2009. Agarwal, Bina. 1992. The gender and environment debate: lessons from India. Feminist Studies, 18(1):119-158. Bakker, Karen and Bridge, Gavin. 2006. Material worlds? Resource geographies and the ‘matter of nature’. Progress in Human Geography, 30(1):5-27. Baskerville, Gordon. 1986. An Audit of the Crown Forests of Ontario. Toronto: OMNR. Bock, Bettina and Shortall, Sally (eds). 2006. Rural Gender Relations: Issues and Case Studies. United Kingdom: Cabi Publishing. Brandth, Berit and Haugen, Marit. 2000: From lumberjack to business manager: masculinity in the Norwegian forestry press. Journal of Rural Studies, 16(3):343–366. Castree, Noel. 2005 (eds). De-naturalising: Bringing nature ‘back in’. Nature. New York: Routledge, 108-176. Cronon, William. 1990. Modes of prophecy and production: placing nature in history. Journal of American History, 76: 1122-31. Cronon, William. 2006. ‘Uses of environmental History’, in Duke, D.F., (Eds), Canadian Environmental History. Canadian Scholar’s Press, Toronto, 23-41. Davis, Donna. 2000. Gendered cultures of conflict and discontent: Living ‘The Crisis’ in a Newfoundland community. Women’s Studies International Forum, 23(3): 343-353. Demeritt, David. 1994. The nature of metaphors in cultural geography and environmental history.Progress in Human Geography, 18(2): 163-185. Demeritt, David. 2005. Hybrid geographies, relational ontologies and situated knowledge. Antipode, 37(4):818-823. Jackson, Cecile. 1993. Women/nature or gender/history. Journal of Peasant Studies 20(3): 389-418. Killan, Gerald. 1994. Protected Places: A History of Ontario’s Provincial Park System. Toronto: Dundurn Press, 1 – 73. Lambert, Richard and Paul Pross. 1967. Renewing Nature’s Wealth: A Centennial History of the Public Management of Lands, Forests, and Wildlife in Ontario, 1763 – 1967. Ontario: Department of Lands and Forests, 300-12, 376-404. Leach, Melissa and Green, Cathy. 1997. Gender and environmental history: From representation of women and nature to gender analysis of eco-logy and politics. Environment and History, 3(3): 343-370. Little, Jo. 2002. Rural geography: Rural gender identity and the performance of masculinity and femininity in the countryside. Progress in Human Geography, 26(5): 665–670. MacDonald, Martha, Neis, Barbara and Murry, Grant. 2008. State policy, livelihood protection and gender and Canada’s east coast. International Journal of Canadian Studies, 38: 149-180. Merchant, Carolyn. 1989. Ecological Revolutions: Nature, Gender and Science in New England. University of North Carolina Press: Chapel Hill and London, 1-26. Merchant, Carolyn. 1990. Gender and environmental history. The Journal of American History, 76(4): 1117-1121. Mosley, Stephen. 2006. Common ground: Integrating social and environmental history. Journal of Social History, 39(3): 915-933. Nightingale, Andrea. 2006. The nature of gender: work, gender, and environment. Environment and Planning D: Society and Space. 24: 165-185. Ontario Department of Lands and Forests. 1957. A History of Crown Timber Regulations from the Date of the French Occupation to the Year 1899. Reprinted from the Annual Report of the Clerk of Forestry for the Province of Ontario, 1899. Toronto: Queen’s Printer. Ontario Ministry of Natural Resources, Park Plan and Management, 1928 – 1965. Local History, General A5.00, Bon Echo Provincial Park. Reed, Maureen. 2003. 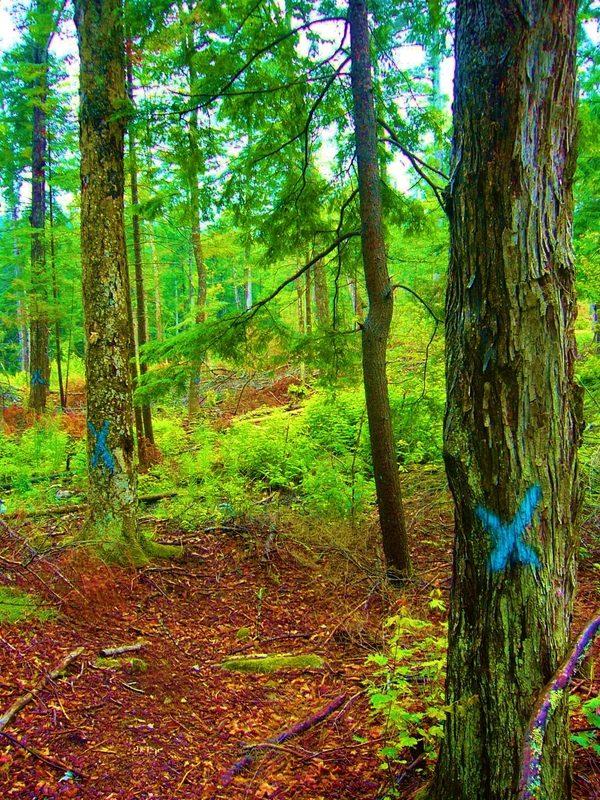 Marginality and gender at work in forestry communities of British Columbia, Canada. Journal of Rural Studies, 19: 373-389. Reed, Maureen and Christie, Shannon. 2009. Environmental geography: We’re not quite home – Reviewing the gender gap. Progress in Human Geography, 33(2): 246-255. Rocheleau, Dianne and Edmunds, David. 1997. Women, men and trees: Gender, power and property in forest and agrarian landscapes. World Development, 25(8): 1351-1371. Rose, Gillian. 1993. Feminism and geography. Campbridge: Polity. Rose, Gillian. 1997. Situating knowledges: Positionality, reflexivities and other tactics. Progress in Human Geography, 21(3): 305-320. Sachs. Carolyn. 2006. Rural women and the environment, in Rural Gender Relations: Issues and Case Studies, edited by B. Bock and S. Shortfall. Cabi Publishing: United Kingdom, 288-302. Schroeder, Richard. 1993. Shady practice: gender and the political ecology of resource stabilization in Gambian garden/orchads. Economic Geography. 69(4): 349-365. Seager, Joni. 2003. Noticing gender (or not) in disasters. Geoforum, 37: 2-3. Shiva, Vandana. 1989. Women in nature. Staying Alive: Women, Ecology and Development. London: Zed Books. 38-54. Statistics Canada. 2006. Census of Canada, 2006 [electronic resource], accessed most recently on March 1, 2010 at http:www12.statcan.ca/census-recensement/index-eng.cfm. Sorlin, Sverker and Warde, Paul. 2007. The problem of the problem of environmental history: A re-reading of the field. Environmental History, 12(1): 107-130. Whatmore, Sarah. 2002. Hybrid Geographies. London: Sage, 1-8. Whatmore, Sarah. 2006. Material returns: practicing cultural geography in and for a more-than-human world. Cultural Geographies 13(4):600-609.